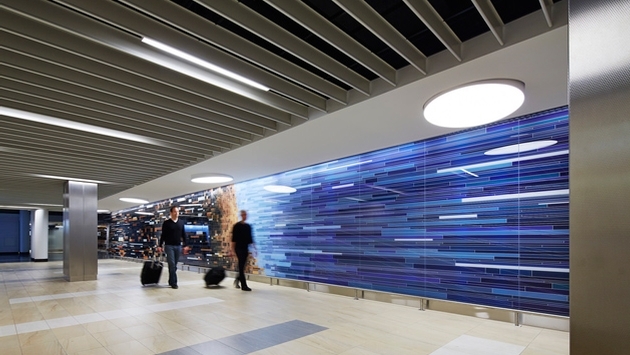 Chicago’s O’Hare International Airport finally has a world-class international terminal. A $26 million redevelopment added 24 eateries and shops so travelers can now eat, drink and browse after going through security. Here’s a video highlighting the new terminal. Previously, 95 percent of the restaurants and stores were located before TSA security lines. 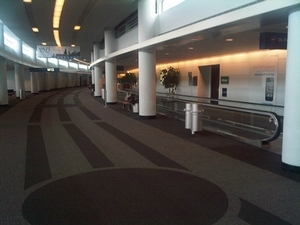 Before, there were no restaurants or shops after security in Terminal 5. 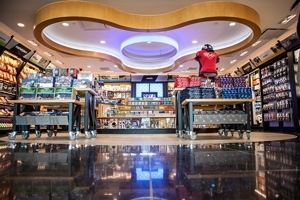 Now, the security section has been redesigned and when travelers complete the screening, they are shuttled through a new 10,000-square-foot Dufry duty-free store, the first of its kind in North America. 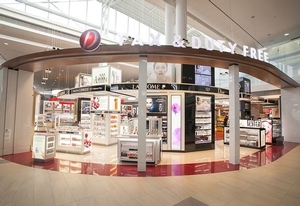 All passengers will be funneled through the new duty-free store after security. 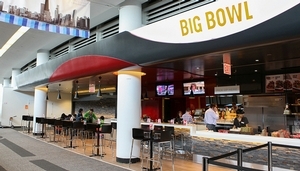 The terminal interior now has a dining lounge with performance kitchens at restaurants such as Lettuce Entertain You’s Hub 51, R.J. Grunts Burgers & Fries, Mediterranean cuisine spot Urban Olive, and Asian venues Big Bowl and Wow Bao. Big Bowl serves up Thai and Chinese fare. 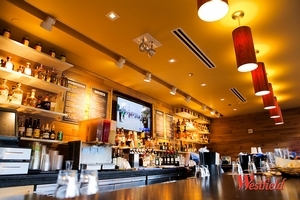 Other eateries include Tocco, which serves Neapolitan-style pizza and pasta; Top Chef Master Rick Bayless’ Tortas Fronteras, featuring modern Mexican cuisine; Kofe powered by Intelligentsia, a Chicago-based roaster and retailer; and The Goddess and Grocer, a gourmet deli. Travelers can get Mexican fare at Tortas Fronteras. 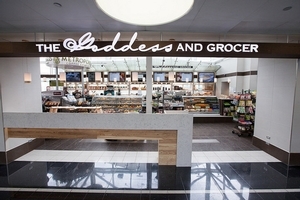 Terminal 5’s The Goddess and Grocer serves fresh sandwiches and salads. 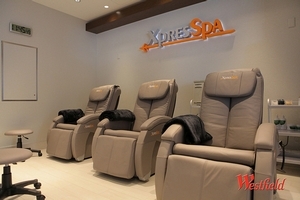 Terminal 5 also now has XpresSpa, which offers massages and nail and facial services. The new XpresSpa can help ease knotted muscles. Retail venues include I Love Chicago, which features original artwork and accessories made by local artisans, and Hudson, which sells travel essentials, books, magazines and snacks. The Hudson store offers many travel essentials. Terminal 5 also has luxury restrooms, lounge-style seating with outlets and USB ports to charge devices, and new lighting, signage, and fixtures that incorporate sustainable and recycled materials.